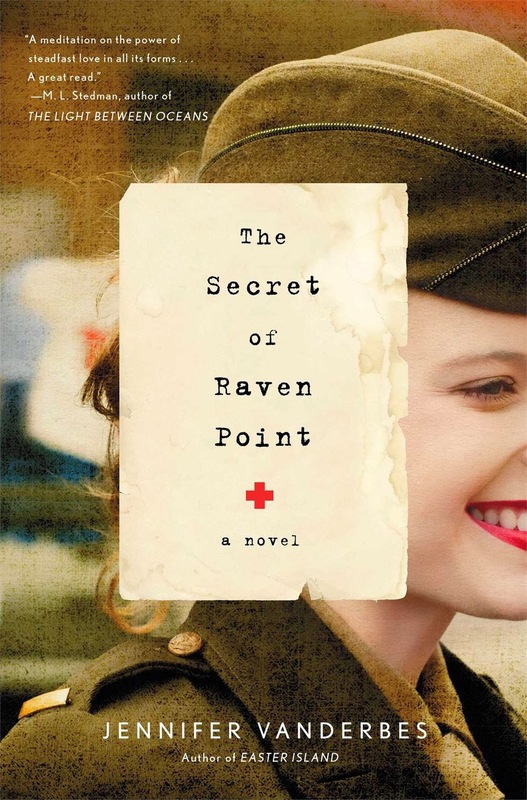 Jennifer Vanderbes' World War II-era novel, The Secret of Raven Point, comes at the subject of war from a different angle--not only is the main action set in Italy, rather than the more popular France, but the story is told from the point of view of Juliet, a young nurse whose main motivation to join up was not romantic love, as in so many war novels told from a female point of view, but for the love of her brother, who has gone missing in action. "Juliet recalled how many fantasties of adulthood she once had, the elaborate list of dramatic feats she felt destined to accomplish. All those dreams now seemed decadent and ludicrous. She thought of the boy on the operating table, and of Liberata. What had they imagined for their futures? What would happen to them? Who would take care of them? ... That's what adulthood was bringing her, she thought: pragmatism, heartlessness. She sensed something within her eroding, something she would never restore." True to her predictions, Juliet does not restore the innocence of youth she feels she lost during the war--but instead morphs into a sensitive, daring, and ambitious woman with plans and ideas of her own. This growth, combined with a nuanced and heartfelt depiction of the war itself, ultimately saves The Secret of Raven Point from itself; a few plot issues that could have been distracting--the "secret" of Raven Point is never truly explored, and Juliet has a strange romance with a doctor that never feels fully fleshed out--are easier to overlook in light of Vanderbes' success in driving home the myriad ways in war changes those who participate in it.